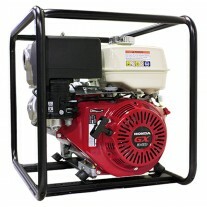 WATER MASTER pump products is an Australian brand specialising in tough pumps for tough Australian conditions. Renowned for their quality and reliability in delivering high quality pumps for applications such as fire fighting, irrigation, water transfer, trash and chemical removal these versatile pumps can be used in various environments ranging from the home to industrial, building and rural sites. All pumps come with a rollover frame provided as a standard for extra protection and easier transportation for when you need to move water quickly and safely.